Brick-and-mortar sales and traffic are down in 2014. Earlier this week, we covered the latest report from the Commerce Department that showed April had lower-than-expected sales numbers following a major bump in March. Overall for retailers, 2014 has been off to a rocky start. A new report was just put out by RetailNext and examined the sales numbers since the start of the year, specifically for brick-and-mortar locations. 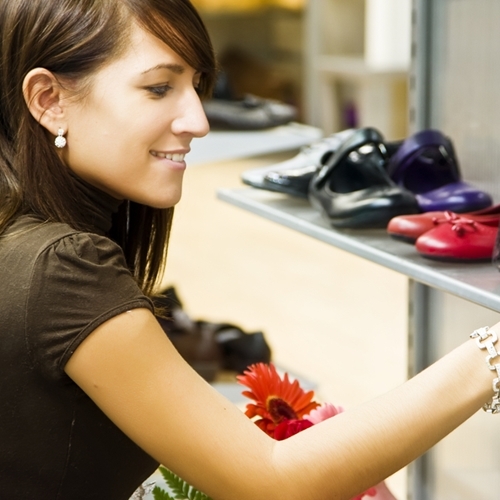 Sales figures in physical stores fell 8.8 percent from January to April 2014. This number comes from examining 59 million specialty and large format retail stores within the continental U.S. To make matters worse, store traffic fell 8.2 percent during this time frame. Other findings in the report found that transactions were down 9.2 percent and sales per store dropped 0.8 percent. There were some positives, as the average value of transactions has increased 0.5 percent and there was a decrease in the number of returns by 0.81 percent. In a recent article from Chain Storage, Shelley Kohan, the vice president of retail consulting and in-store analytics at RetailNext, said that it is highly likely that the decrease in traffic is the reason for the falling sales numbers. With poor weather and a polar vortex keeping people indoors, brick-and-mortar retail suffered and is still struggling to rebound. She also mentioned that there is a change in how consumers think. Many of them are making conscious choices about where they shop and what they buy online. On top of that, many purchases, even those made in a physical store, have been researched online prior to making payment. This means retailers need to ensure they have integrated their online and physical locations. Failure to do this can effect the consumer relationship. Someone who looks a product up online and comes in to the store to trying it, only to find it is out sold out can leave the store with a bad taste in their mouth. Having a POS with fully integrated e-commerce solution and inventory reporting, like Visual Retail Plus, any company will improve their chances of capturing every potential sale that comes through the door. Be sure and contact us for a free demo to get started on the most complete POS system for small business.